Home › brisbane › Want to CoderDojo – Kenmore is Calling!! Want to CoderDojo – Kenmore is Calling!! If you’ve been wanting to get involved with CoderDojo Brisbane, and live in the Western suburbs of Brisbane, now’s your chance!! Registrations for mentors are currently open, and we’d love to have you involved!! Kicking off from Saturday 17 August at Kenmore Library, we’re looking for around 8-10 volunteer mentors for each Saturday session (12.00 – 2.00pm). Register for 1 or more sessions – it’s entirely up to you. Volunteer Mentors are crucial to the success of CoderDojos. We endeavour to always have an experienced Mentor at each session, for new Mentors to get a feel for how the sessions run. Mentors are also encouraged to just pop in to a session to see what you’re in for – no commitment!! 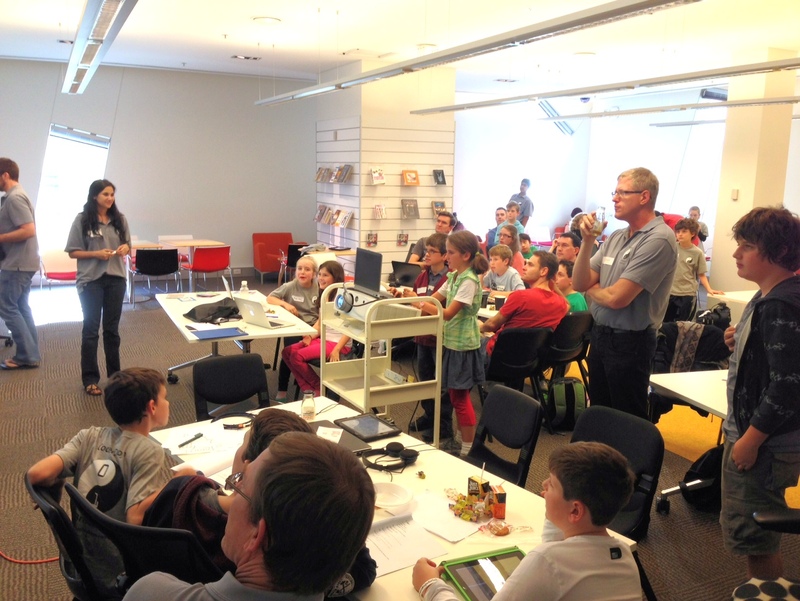 CoderDojo kids do demos too!! ‹ Some of our Awesome Mentors! !